Canada is “deeply disappointed” with the Trump administration’s decision to allow lawsuits against foreign firms operating on properties Cuba seized from Americans after the 1959 revolution, Foreign Affairs Minister Chrystia Freeland said Wednesday. U.S. Secretary of State Mike Pompeo said he won’t renew a bar on litigation that has been in place for two decades, meaning that lawsuits can be filed starting on May 2 when the current suspension expires. “We will be reviewing all options in response to this U.S. decision, Freeland said. “Since the U.S. announced in January it would review Title III, the government of Canada has been regularly engaged with the U.S. government to raise our concerns about the possible negative consequences for Canadians — concerns that are long-standing and well known to our U.S. partners. 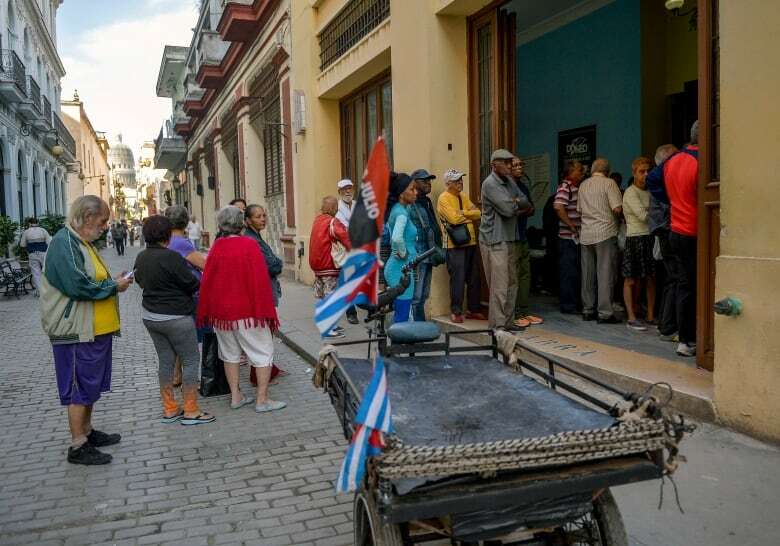 The decision is a blow to Havana’s efforts to draw foreign investment to the island and could affect dozens of Canadian and European companies to the tune of tens of billions of dollars in compensation and interests. U.S. President Donald Trump is stepping up pressure to isolate embattled Venezuelan President Nicolas Maduro, who is holding power with help from other countries, including Cuba, China and Russia. “Those citizens’ opportunities for justice have been put out of reach for two decades,” Pompeo said. There are roughly 6,000 claims that the Justice Department has certified as having merit, according to Kimberly Breier, the top U.S. diplomat for the Americas. Those claims have an estimated value of $8 billion US: $2 billion in property and $6 billion in interest, she said. In addition, there are about 200,000 uncertified claims that could run into the tens of billions of dollars, she said. Breier said the only way companies will be safe from litigation would be to ensure that they are not doing business on expropriated properties. She said there would be no exceptions to the decision, which prompted a stern response from European Union as it has vowed to protect its businesses from lawsuits. The 28-nation bloc has warned that it could relaunch a World Trade Organization case on the issue, while its “blocking statute” allows EU companies sued in the United States to recover any damages from U.S. claimants in EU courts. 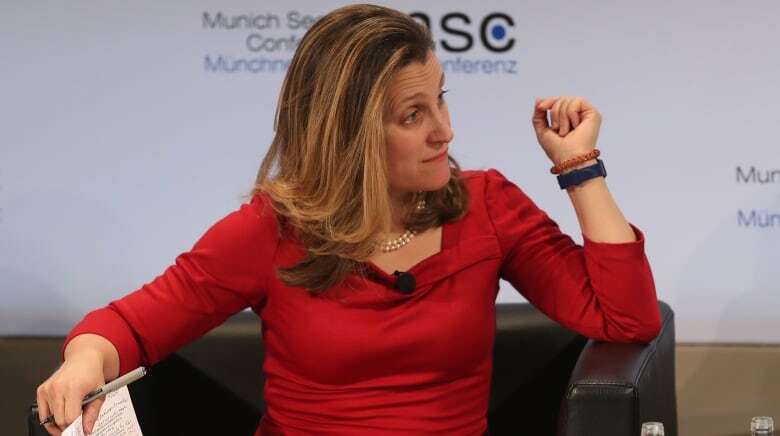 Mogherini and Freeland also issued a joint statement that said they’re “determined to work together to protect the interests” of their companies. National security adviser John Bolton is expected to discuss the new policy during a midday speech in Miami, which is home to thousands of exiles and immigrants from Cuba, Venezuela and Nicaragua. The speech at the Bay of Pigs Veterans Association is to be delivered on the 58th anniversary of the United States’s failed 1961 invasion of the island, an attempt to overthrow the Cuban government. “Before they try to euphorically ride a wave of wickedness and lies, they should take a dose of reality. The world has told John Bolton and the U.S. government to eliminate the criminal blockade against Cuba and the Helms-Burton Act,” Johana Tablada, Cuba’s deputy director of U.S. affairs, said on Twitter. U.S. airlines and cruise lines that bring hundreds of thousands of travellers to Cuba each year appear to be exempt from the key provision of the Helms-Burton Act.